Well here I go again. 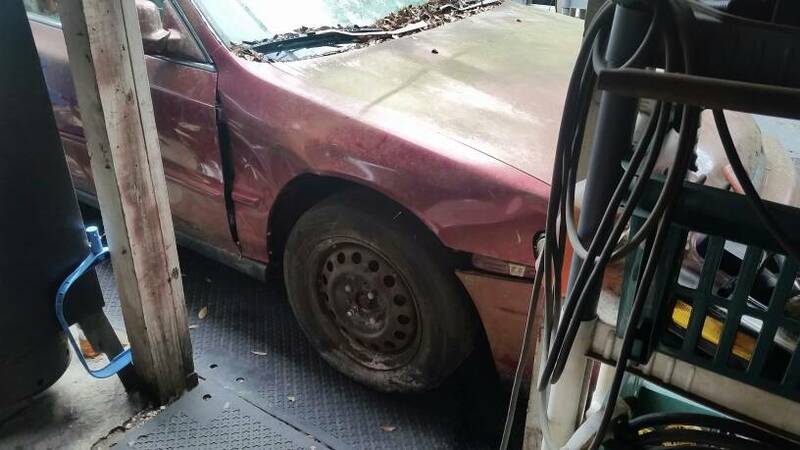 $200 for a 95 Accord EX. 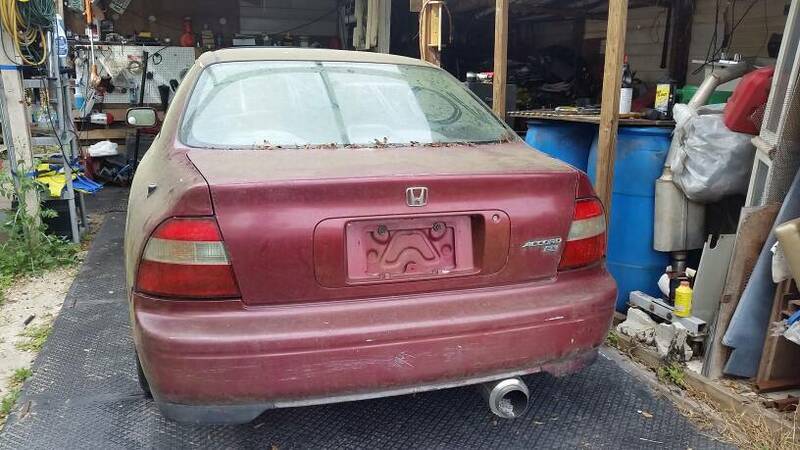 4cyl vtec/5spd. Power everything. Sunroof. 4 wheel disc. ABS. 9.5 out of 10 interior. Exterior needs a little work. Possibly a door and quarter panel. Haven't put a battery in it to try to start it. But the oil looks good. It's got a racing header on it already and a cold air intake. Coffee can muffler and all exterior GFX. Bumpers need some work and it needs other small stuff as well. It was sold because of a "transmission problem". What I thought initially was correct. Ran the clutch res down and lost the pedal. They tried to put lucas stop slip in the reservoir. WOW! It'll be awhile in the making but I'm gonna flip the green one once this one is up and running. Taxes are getting spent on the Camaro lol. I also discovered brand new pioneer speakers and a 400 watt amp hooked up. No head unit so this is prime and waiting for an android touch screen head unit. nice. that was in the car? I'm contemplating trying to find a roller miata convertible to trade for. Might have to wait awhile, but I'm sure I'll come across one. Dustin you can close this thread.